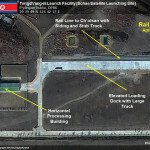 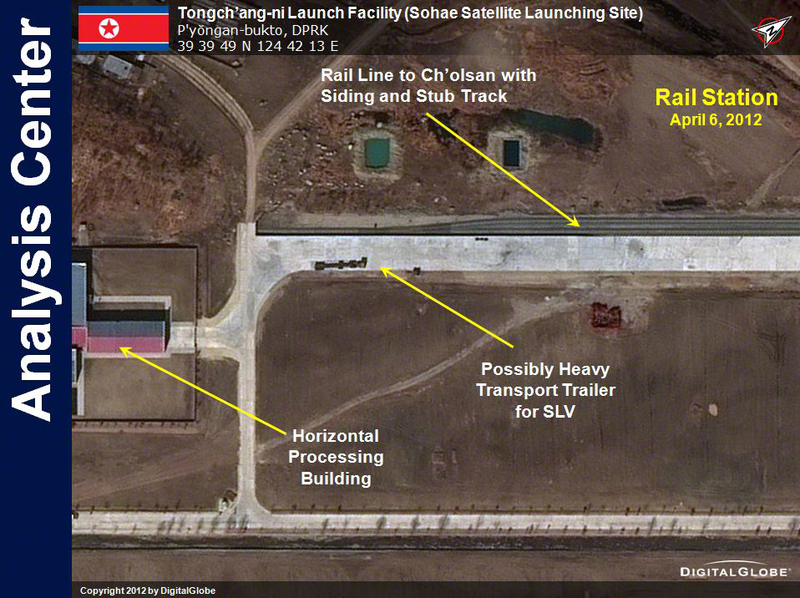 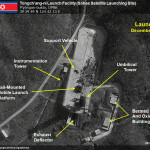 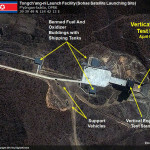 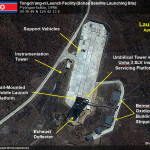 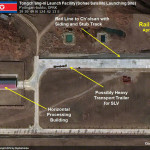 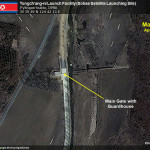 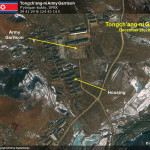 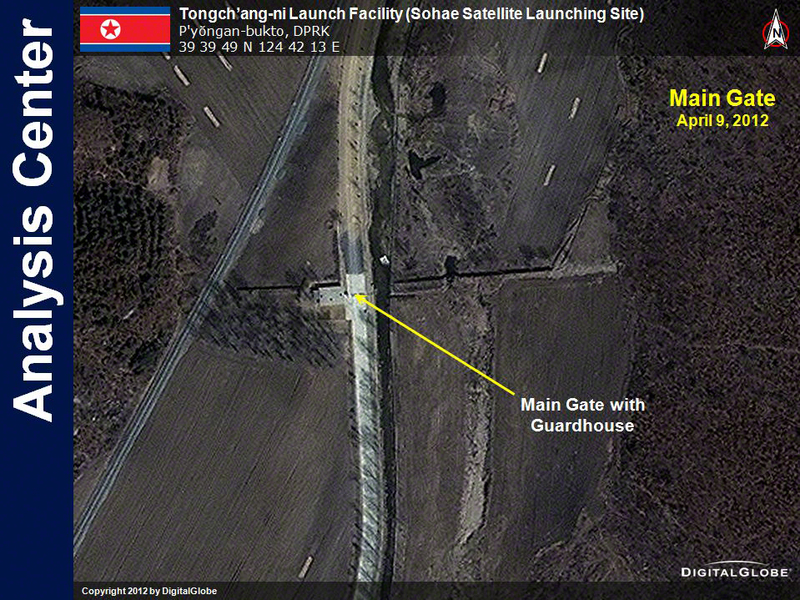 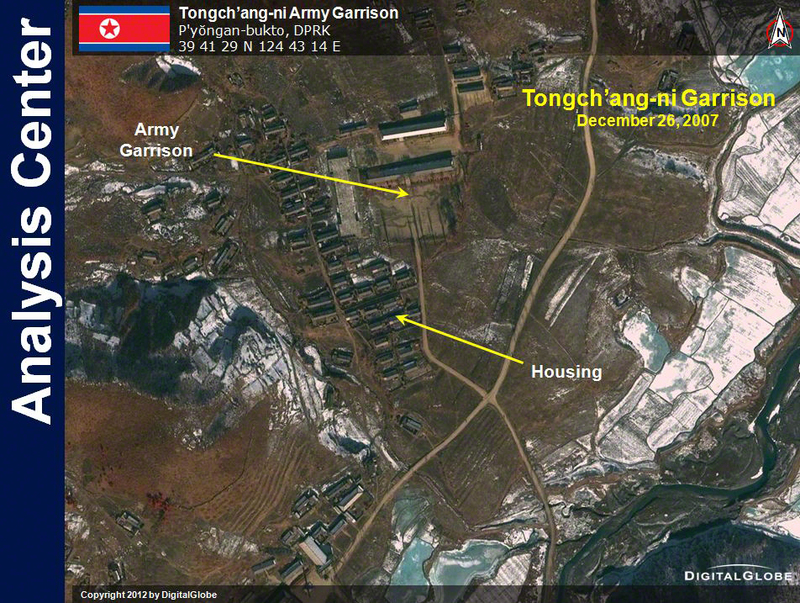 As the hours tick down towards North Korea’s planned launch of its Unha-3 rocket, DigitalGlobe has published fresh satellite images of the Sohae launch facility. 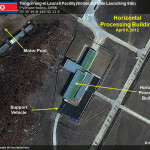 The images include some taken on Monday, April 9, and show little has changed since reporters visited the site a day earlier. 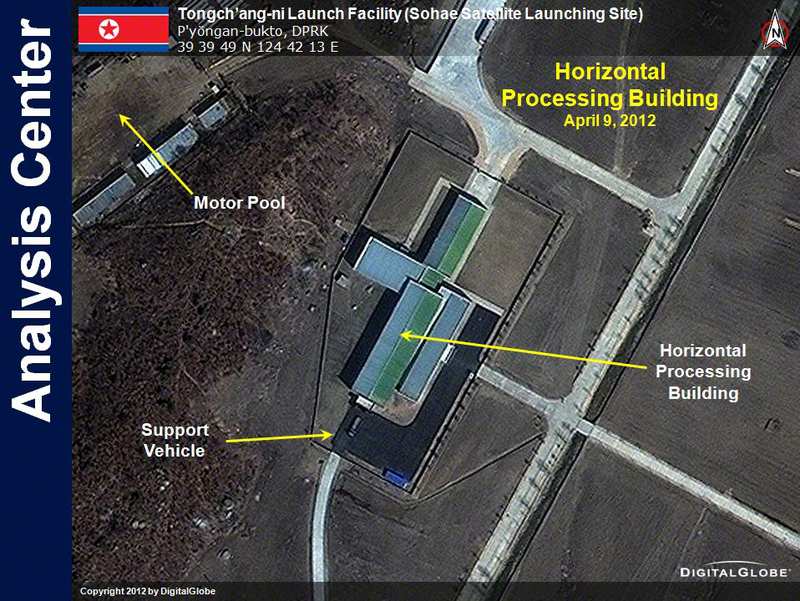 The images are reproduced below. 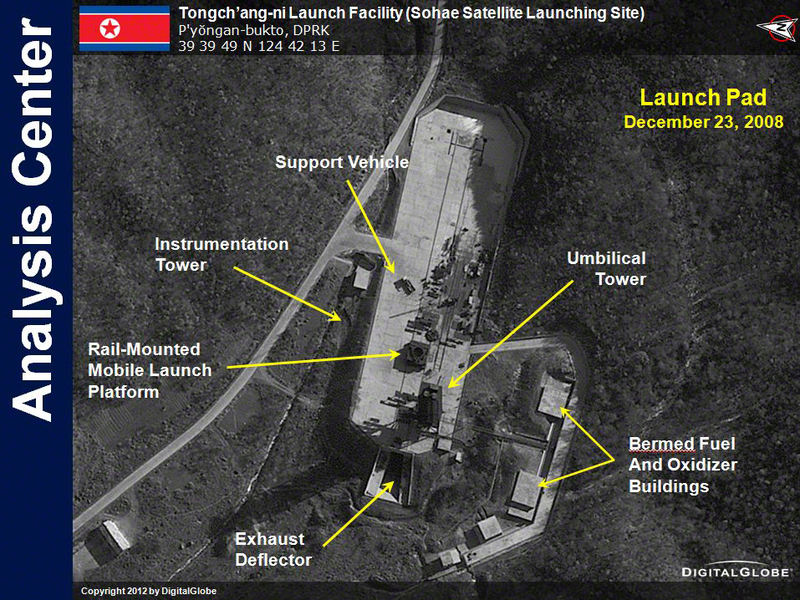 There is an apparent error in one of the slides. 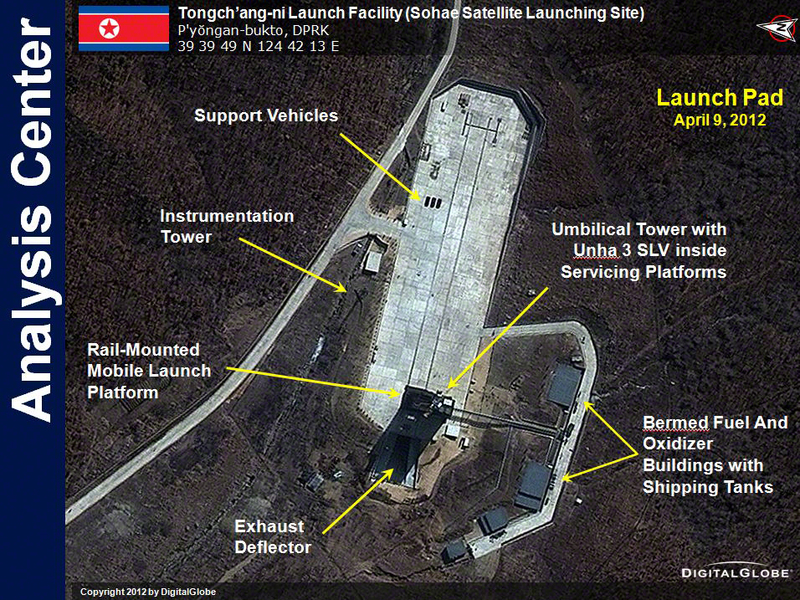 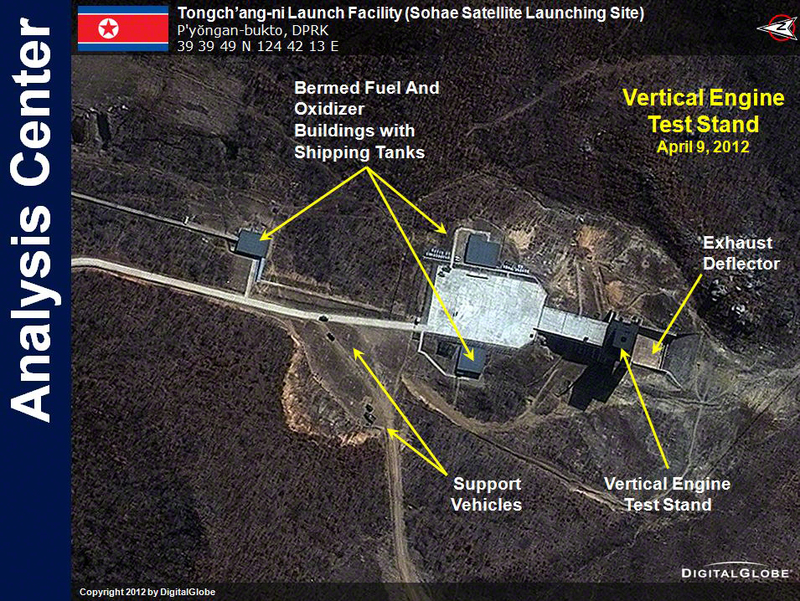 In a report from Pyongyang after visiting Sohae, NBC News space analyst James Oberg reported that the building labeled a “high bay processing facility” is in fact the launch control center. 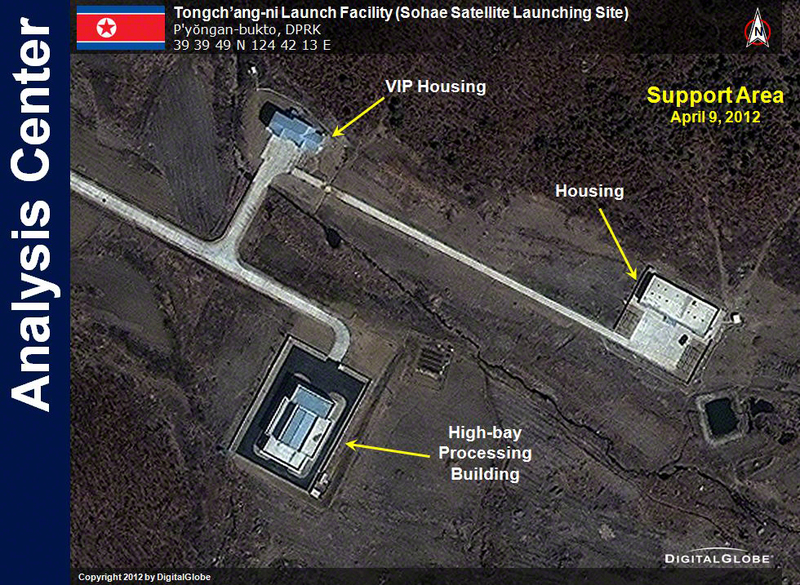 A second building on a hill above the launch pad, previously assumed to be the control center, is an observation building. 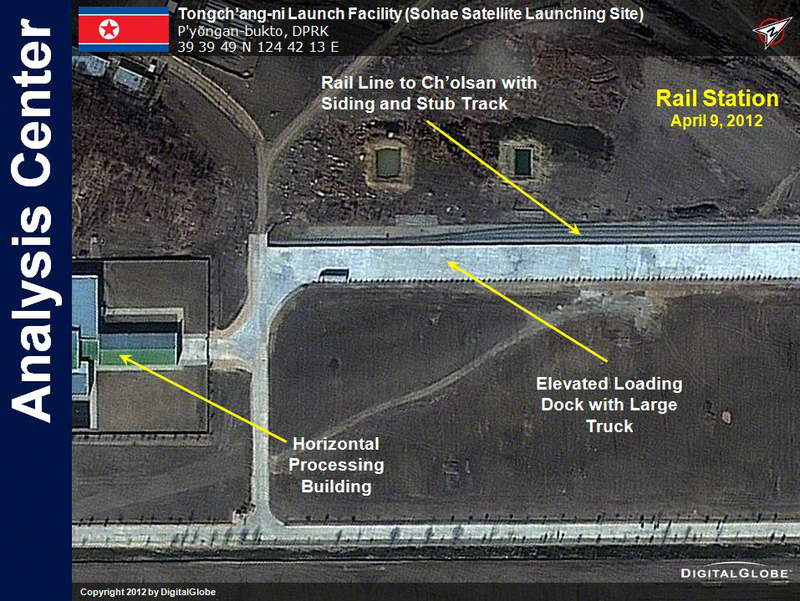 What we found out was that the so-called “control center” on the hill was just an observation point, probably for VIPs — and the real Launch Control Center was in the important fenced building mislabeled as the high-bay facility. 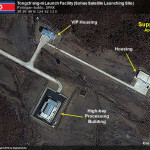 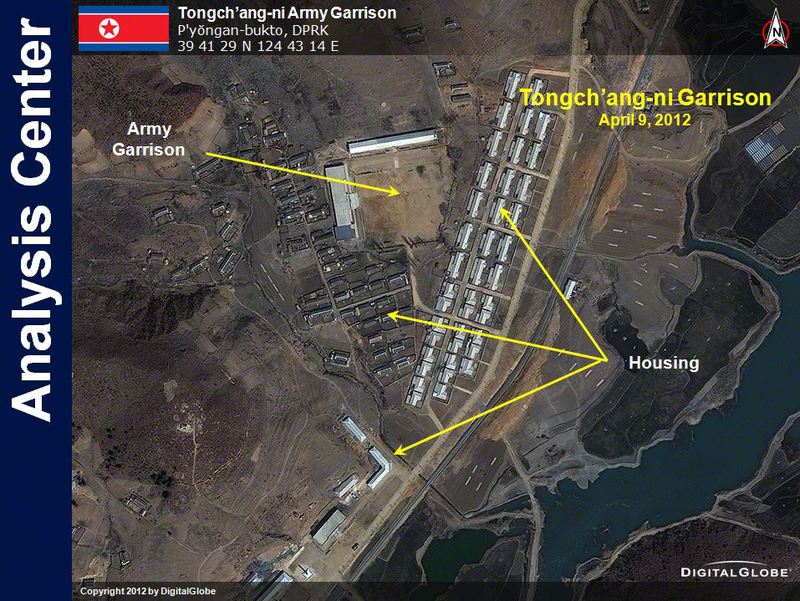 — James Oberg, “Clues about N. Korea’s space plans emerge,” NBC News, April 9, 2012.